Narwhals: elusive, magical, legendary. They are the unicorn of the sea, which is much more interesting than the chicken of the sea, or sea monkeys for that matter. Living under sea ice for up to five months a year, it's no wonder it's taken a long time to get decent photos of these majestic beasts, and a good thing too! 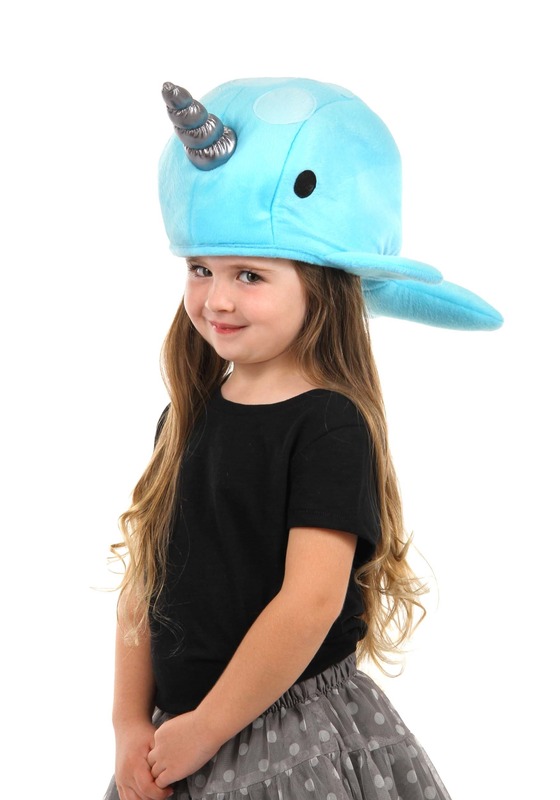 Now we have enough visual references to make this narwhal hat cute, yet scientifically accurate, in a very loose interpretation of scientific. 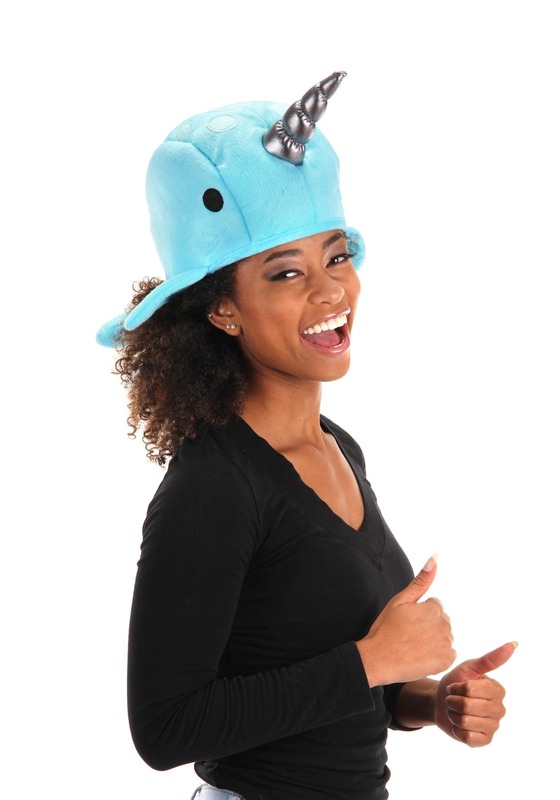 Wear this hat to your that upcoming Save the Whales convention or as an easy and lovable ensemble for your next costume party. For an animal no one has seen in person before unless they've been on a scientific excursion in the Northern Arctic ocean, the narwhal is instantly recognizable. Everyone will love your new friend but don't worry, you don't have to let everyone try your cap on. When they ask just remind them that the narwhal is an elusive, shy whale. If they respect the narwhal, they'll understand.